In 1719, Reverend McGregor, called the 'Moses of the Scots Irish,' moved his congregation from Northern Ireland to Derry, which they named "Nutfield." Derry and its surrounding towns are kicking off their 300th year anniversary this weekend with bagpipes, craft demonstrations and history lectures. The region was originally inhabited by Penacook Abenaki people, before it was colonized in 1719 by a group of Ulster Scots (Scots-Irish) families fleeing religious persecution from Northern Ireland. They named it the "Nutfield Settlement," and their journey marked the beginning of more than a century of Scots-Irish immigration to the U.S. Many of those descendents moved across North America, and this weekend some have flown from Canada, Texas, and California to meet each other. 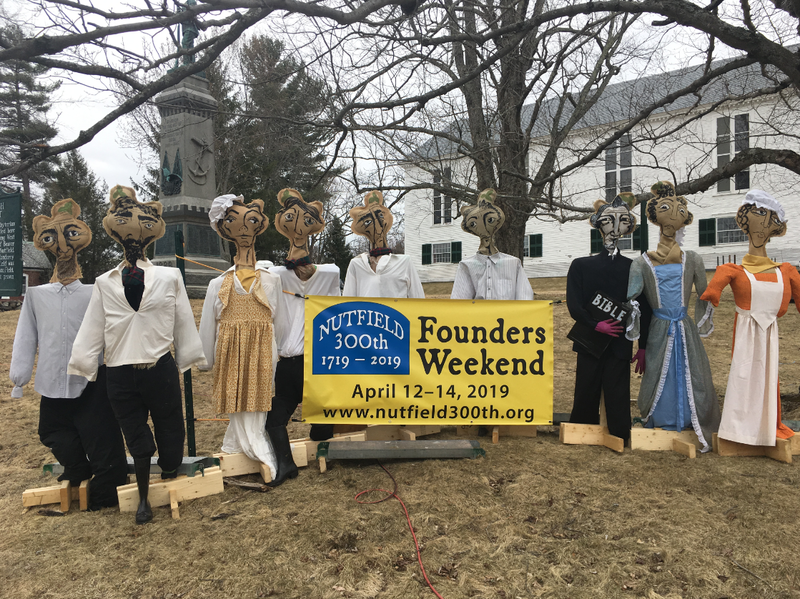 Paul Lindemann, one of the Nutfield Tricentennial organizers, says it's become a family reunion. "These folks live and breathe their family histories going back six or seven generations. With an event like this, they get to meet relatives they've never met." One potential relative is Linde Lunney, an Irish historian who spent the morning visiting Pinkerton Academy. "I think I'm related to the Pinkertons," she says, wearing a "Discover Ulster Scots" nametag as a man in a tartan kilt walks towards a sign of Nutfield Founders' last names. Lunney calls the decades of migration from Ireland "a dreadfully sad loss for us" but doesn't envy her distant relatives' move from the industrial cities of Ireland to wooded New Hampshire. "When they got here they were pushed out to the frontier actually, and the frontier in 1719 wasn't a bed of roses," she said. The gathering is being held until Sunday at the First Parish Church in East Derry. Several towns in southern New Hampshire will be celebrating their tricentennial in 2019. The settlement of Nutfield - now known as Derry, Londonderry, and Windham - became the first inland settlement of Europeans in the Merrimack Valley in 1719. It comprised 16 Scots Irish families who had fled religious persecution in their hometown of Aghadowey, in the Irish County of Londonderry.